On a Monday afternoon in the desert, there isn’t much going on at HITS Coachella to resemble the atmosphere of the horse show’s Indio, California, namesake. The loudspeakers are silent, the rings are empty and the most commotion one is likely to encounter is from the sand blown in by the strong wind tunnels that form beneath the Santa Rosa mountain range. 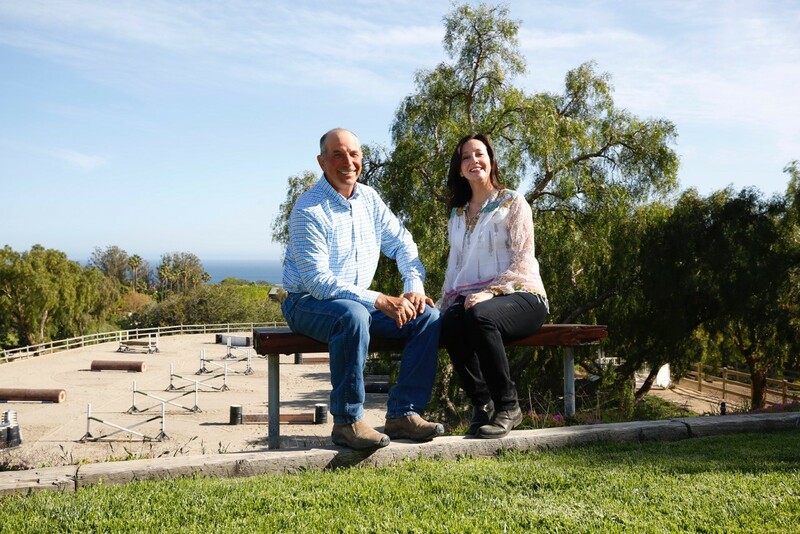 Carleton and Traci at their Malibu facility, where the barn and the riding ring boast an ocean view. But Carleton Brooks doesn’t miss a Monday at the eight-week horse show circuit. 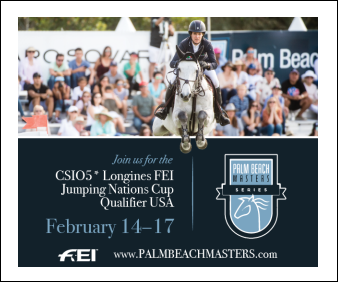 While others are enjoying a well-deserved day off following a long week of showing, Carleton, who, along with his wife, Traci, runs Balmoral Farm in west Los Angeles and Malibu, California, is capitalizing on the opportunity to observe his horses in a quiet setting. He watches, and more importantly, he listens, noting the tiniest of details. 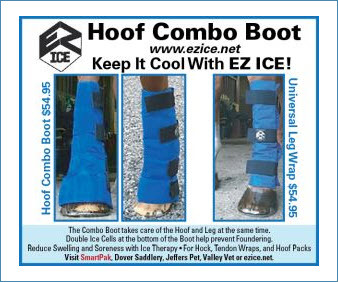 He mentally records the way his horses stand and move in their stalls — which leg is forward, which hind leg rests and which way they turn around. Throughout the circuit, he rotates his horses’ stalls so that they aren’t always leading with the same leg while eating, and he outfits every stall with a manger placed on the ground so that the horses eat more naturally and inhale less dust. Carleton, 60, and referred to by many as simply “CB,” is one of the most respected and recognized horsemen in the country — and he takes the title of “horseman” quite seriously. 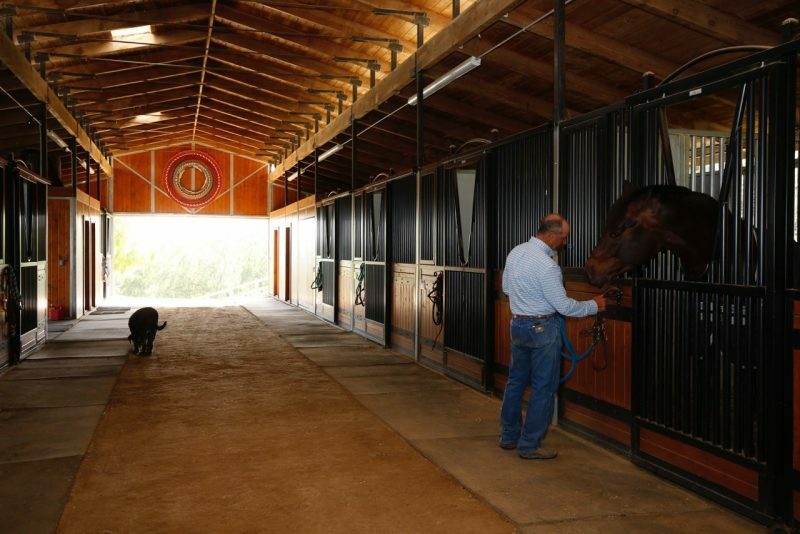 Operating Uphill Farm, Inc. in Atherton, California, out of the Menlo Circus Club for more than two decades before joining forces with Traci in the early years of the new millennium, he has trained four recipients of U.S. Equestrian Horse of the Year titles and 17 Champions at the Pennsylvania National Horse Show, Washington International Horse Show, and National Horse Show, where he has been named the competition’s leading hunter rider. 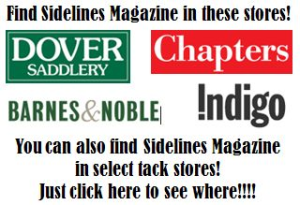 He’s also an “R” judge and popular clinician; many top professionals from across the country also reach out to him for advice, coaching or training for horses determined to be difficult to figure out. 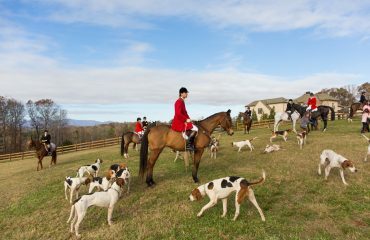 “I don’t know that there are problem horses — just horses that are not completely understood,” Carleton said. To talk with Carleton is to speak to a figure straight out of a novel — nearly every sentence to come out of his mouth is philosophically quoteable and worthy of being recorded in a book. Perhaps it’s because he, too, is writing down anything of note that he hears. For the past 30 years, he’s been taking notes of valuable tidbits he’s heard or learned from other professionals in the industry. He’s kept all of them. The majority is boxed up in his home, but he keeps his notes from the past year with him while he’s on the road. Carleton likes to observe his horses in the quiet setting of the barn. Carleton’s horsemanship is deeply rooted, as he started out riding two horses bound for the slaughterhouse with his siblings in cornfields they cleared and plowed themselves near their Indiana home. Carleton credits that time for teaching him responsibility, work ethic and how to properly care for animals, at a young age. Eventually, he showed on the East Coast in the summers while he was in high school, and when he turned 18, he rebuilt a horse trailer from the frame up, loaded up his horse and drove with his brother Andy to California. To this day, he prefers to drive his own rig to cross-country horse shows like indoors and coordinates Traci’s and his shipping company, Uphill. Carleton, with Green Conformation 3’6 Zone 10 Reserve Champion and Grand Hunter Champion Virtue, standinf with Lexi Wedemeyer and Green Conformation 3’6 Zone 10 Champion Mallory Square. Carleton focuses his training methods on understanding horses and treating each as a unique individual. 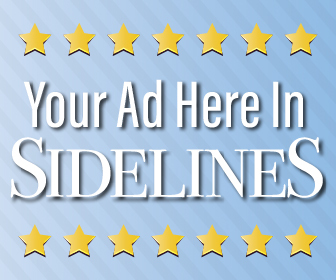 His program is the antithesis of “cookie cutter,” and he never forces a horse to do anything. More telling, he is not afraid to fail. Carleton has used some unique methods to bring out the best in his horses. Neither Vested, the 1992 First Year Green Working Hunter Champion at Harrisburg, nor Penn Square, a top Regular Working Hunter, jumped in the schooling ring before showing. Clay County, a top ribbon getter at both Harrisburg and Capital Challenge, had to be ridden in a driving rein. Carleton and Traci enjoy their horse life together. Carleton is kept busy with the day-to-day ongoings of Balmoral. 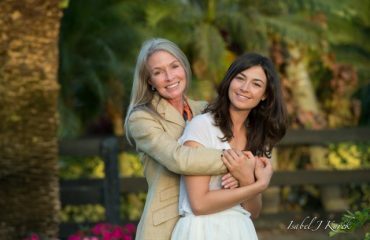 Traci does the teaching at their West Los Angeles facility, while Carleton works with and develops horses at a newer Malibu facility, which the couple has worked out of for two years. 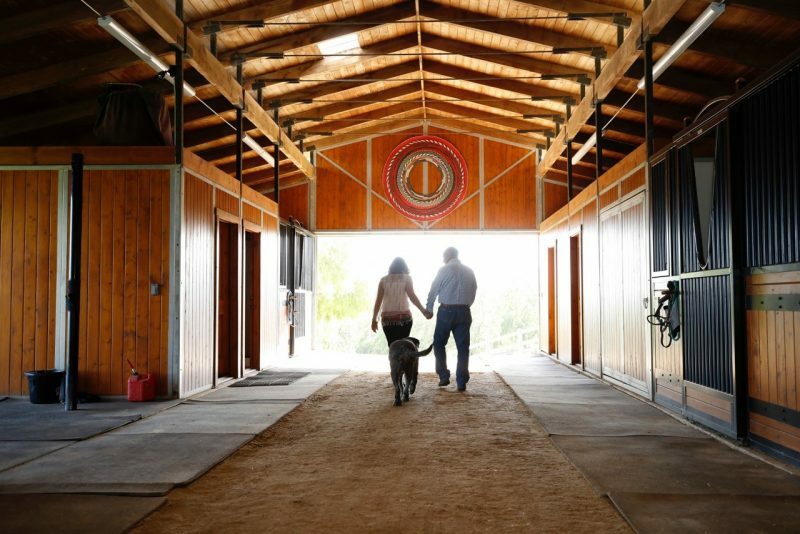 The horses often rotate between facilities so that they can receive ample turnout on the sprawling Malibu property, where the barn and the riding ring boast an ocean view. 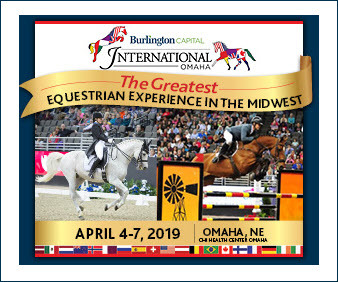 While he doesn’t show anymore, Carleton is still riding regularly and teaching riders of varying levels, and on any given day at Thermal, you can find Carleton anywhere from the pony ring to the grand prix arena, educating his own students as well as other professionals. 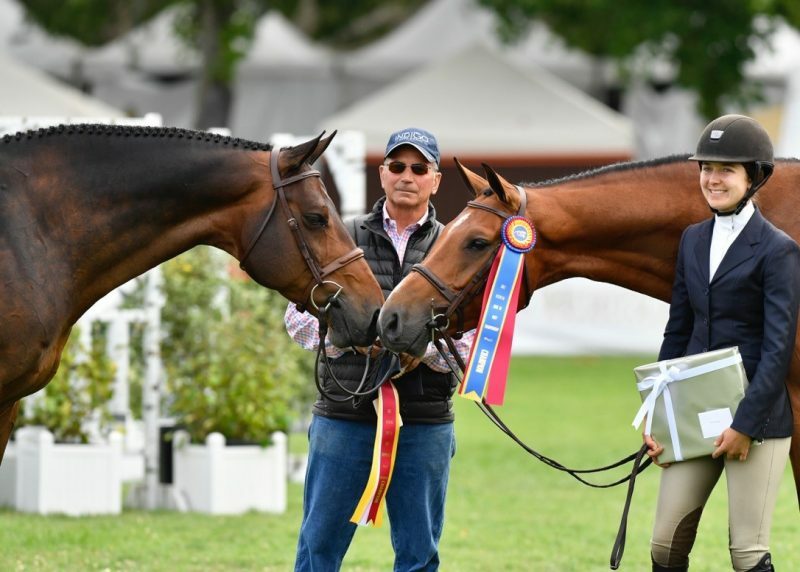 When amateur rider John Zambrano saw the success his partner, top hunter professional Peter Lombardo, was having at indoors with Carleton’s help, he wanted to work with him, too. 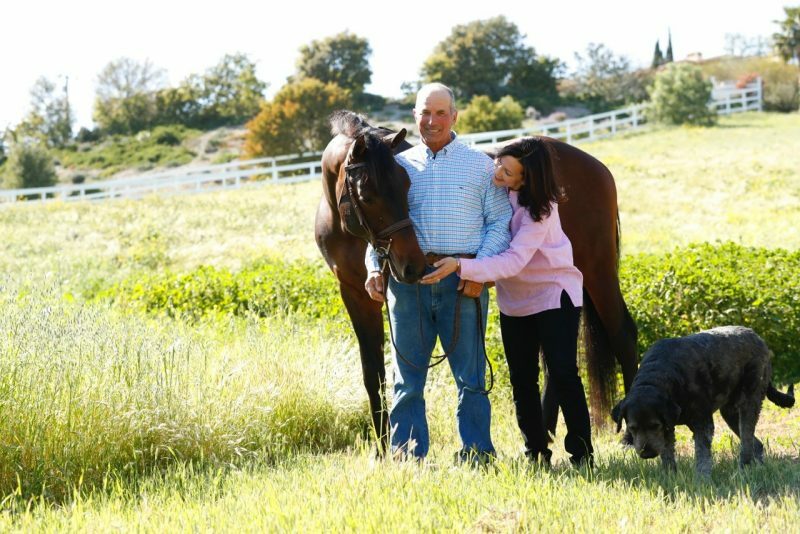 Carleton and Traci run Balmoral Farm in west Los Angeles and Malibu, California. By the number of calls Carleton receives daily, it’s become increasingly apparent that his skill set is rare, his methods a throwback to another era.